What is it? 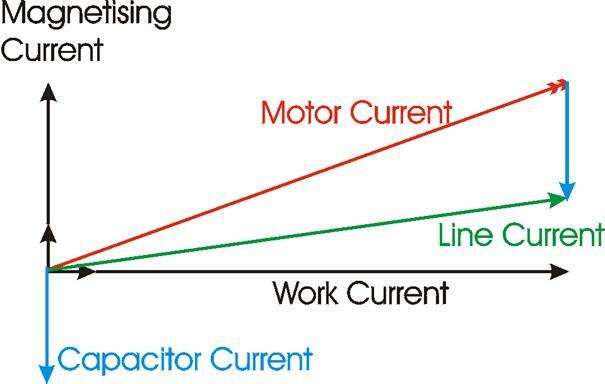 Power factor compares the real power (watts) being consumed to the apparent power (Volts-Amps) of the load. A purely resistive load (incandescent lights, electric heating elements.) would have a power factor of 1.0. All current will cause losses in the supply and distribution system. A load with a power factor of 1.0 will result in the most efficient loading of the supply. capacity, but performs no work, utilities and plants try to keep net kVARs low. High reactive power translates to low power factor. Power factor correction capacitors supply the reactive power (kVAR) required by inductive loads. By correcting poor power factor, capacitors reduce kVA demand, thus off-loading transformers, switchgear and other equipment. The reduced kVA demand results in lower utility power bills, cooler equipment operation and longer equipment life. What are Vermont Utilities required to do ? • All Vermont Utilities are required by the regional transmission system to maintain a 98% power factor on their power lines. As a result of this requirement, Vermont utilities are requiring their customers to maintain a power factor of 95%. In addition to this requirement, the measurement of power factor will change from average monthly power factor consumption to measuring the power factor on coincident peak. What is required of you to avoid future penalties ? Power factor correction is achieved by the addition of capacitors in parallel with the connected circuits and can be applied at the switchboard or distribution panel. The resulting capacitive current is leading current and is used to cancel the lagging inductive current flowing from the supply. 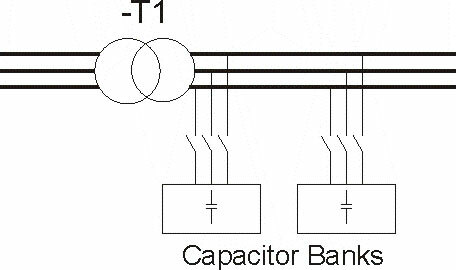 Capacitors connected at a distribution board and controlled independently is known as "Bulk Correction". The Power factor of the total current supplied to the distribution board is monitored by a controller which then switches capacitor banks In a fashion to maintain a power factor better than a preset limit. (Typically 0.95) Ideally, the power factor should be as close to unity as possible. There is no problem with bulk correction operating at unity. If you are getting penalties for low power factor on you utility bill, call us, we can help.